Cycling in Europe has a lot to offer: wonderful vistas, friendly people, and a rich cultural background. You can experience the Old Continent in a new way, traveling by your bike, on different routes. That’s why we found the best trails for you, regardless whether you’re a beginner, intermediate or advanced cyclist. This is a great route if you’re intermediate to biking because of the medium elevation gain during this 8-day long journey. But it’s totally worth it, considering you’ll see some of the most beautiful beaches in France. Not to mention the historical charge, given the pit stops of this route. So this 8 day tour starts in Saint-Malo, where you can visit the walled city. The second day ends in Cancale, but on the road there, you’ll see the coast, plenty of fisherman villages, as well as oyster farms. Over the next few days, you can visit Roman-age towns, spend the night in beach hotels, learn more about the Battle of Normandy and about medieval history in general. The coastline is stunning and you’ll breathe in a lot of fresh air. This is a longer route that lasts for approximately 45 days during which you’ll travel more than 2700 miles, but you’ll get to experience a lot of different countries along the way. This is an advanced journey, during which you’ll travel through the places where Napoleon went in 1812, during his Russian Campaign. It’s a good idea to take the best hydration bladder you can find, considering you’ll be on the move so much. You’ll travel through Germany with its deep forests, through the medieval villages of Poland, and the rolling vineyards of Lithuania and Latvia. These last two countries, along with Estonia have an Eastern culture that’s visible throughout their streets, buildings, and monasteries. The end point is Moscow, where you can rest your weary legs. This is another one of the most popular rides, and it’s definitely for beginners. That’s because you’ll have little to no elevation gain, and you’ll be cycling on paved paths, following the Danube. So there won’t be any rocky terrain or traveling through forests, but you’ll get to travel through four different countries. You’ll start in Germany with its Alemannic history and Bavarian monasteries. After that, you’ll travel through Austria, where you can marvel at its impressive vineyards. Slovakia is a country with lots of memories from the two World Wars, as well as from the Ancient times. And lastly, you’ll get to Budapest, Hungary, with its green villages. The whole journey will take you about 13 days, and you’ll travel about 500 miles total. 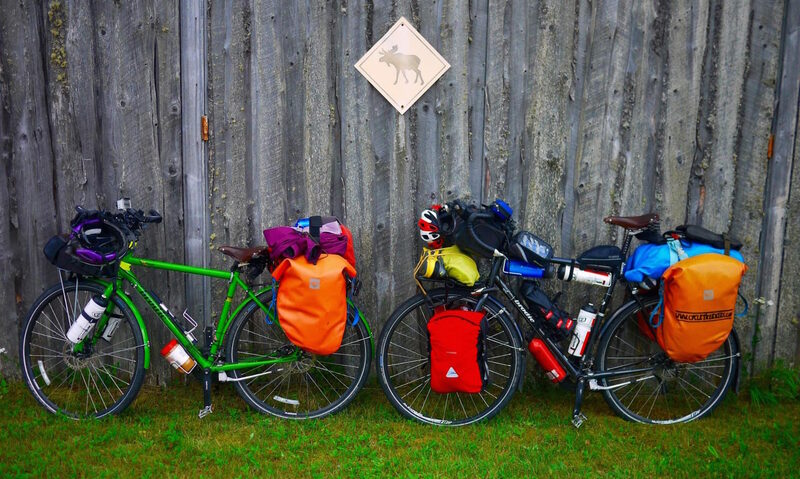 This is definitely an epic journey, and it’s more appropriate for advanced cyclists. You’ll pedal through various heritage sites and alpine cities, but you’ll start in Venice. After cycling through the long green plains in Venice, you’ll bask your eyes in the crystal clear water of the Adriatic sea. You’ll travel through hills and beaches, through plateaus and baroque cities. You’ll see various cities in the countries of Italy and Austria, as well as other highlights in the course of this 27 days route. The 1155 miles total are a long way to go, but you’ll be traveling an average of 52 miles each day. This amazing tour covers a part of Germany and Austria, but the route will take you to the border with Luxembourg as well. You’ll see various historic cities, and pedal on the shore of different rivers, the most renowned ones being the Rhine and the impetuous Danube. Other impressive vistas are offered courtesy of deep forests, green valleys, and quaint villages. Bask your eyes at the poetic vineyards along the way, and enjoy the magnificent old river beds, timbered houses, churches, and castles. The medieval villages and towns, filled with monasteries and ancient castles will lead you to Vienna, where you can go for a nice stroll or a guided tour of the city. This 16 days journey mostly runs on even terrain, so you won’t have to strain yourself too much. However, you’ll be pedaling an average of 60 miles daily, and that’s what makes it an intermediate tour. With so many choices at your disposal, it’s not easy to pick one. All these tours have a lot to offer in terms of sceneries and history, but they all challenge you differently. So in the end, your choice depends on your skill level and time frame. Don’t be shy and tell us what you picked. And if you have other, better tour suggestions, we’re happy to hear them! The comments are right below. No doubt the best cycling in Europe is in Spain, Italy and France. Roads, weather, cycling culture… Also possible in winter except big mountains. For advanced cyclists my best choice would be the Transpyrenees trip (Basque Country to Mediterranean sea or opposite) including the most famous Tour de France climbs (Tourmalet, Aubisque, etc). A must.